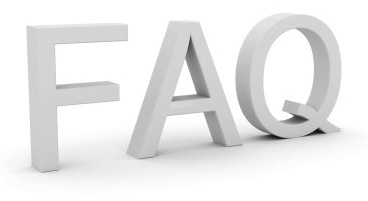 The following is a list of the most frequently asked questions. What applications does Wexxar equipment suit? Agricultural products, packaged food, pharmaceuticals, electronics, household goods, medical supplies - virtually all sectors which require corrugated case and tray forming and sealing. How important is corrugated board quality in case forming? Corrugated standards vary widely; Wexxar's case forming packaging machines are engineered to handle a wide variety in quality. What are the advantages of the mechanical pin and dome technology to vacuum cups in case erecting? Vacuum cups are often susceptible to clogging from dust, have less positive grip on imperfect surfaces and vacuum cups are subject to wear. Why does Wexxar use Servo Motion Control in tray formers? Servo Motion Control provides more accuracy, control and speed in forming complex tray designs than mechanically driven systems. What if my case or tray is outside normal standards? Wexxar end of line packaging equipment can be produced to handle cases and trays outside those described in brochures. What if the minor and major flaps on my cases are not the same length? Wexxar case formers and case sealers can be modified to handle specialized case designs such as AFM. How do I shut down the machine in an emergency? Palm e-switches are on both sides of the machien; opening any guard will stop the machine because all guards are interlinked. Should I be using tape, hot melt or glue case sealers? Each system offers strong advantages and trade-offs in performance and cost. Your Wexxar representative would be happy to review application requirements and recommendations. Wexxar packaging machines are available in pressure sensitive tape case sealers, hot melt and glue case sealers. Why is a Wexxar packaging machine a good investment? Wexxar's packaging equipment is built to very high standards. It's operating costs and reliability will save you time and money continually for the many years you will own it. How are Wexxar packaging machines engineered for safety? Wexxar equipment is fully guarded from the in-feed to the out-feed. Palm e-stops are located on both sides of the machine; safety interlocks are on all guards so opening any guard will turn the machine off. The working height of the machine is ergonomically correct. Adjustments and controls, access to key components, feed magazine and out-feed heights - all are built to make it fast and easy for people to operate.